Senior Dog Wisdom™ is a veterinarian – developed, cognitive support formula to maintain healthy brain function in aging pets. Senior Dog Wisdom™ provides supporting factors for the health of aging dogs and is recommended for dogs five to seven (depending on size) years or older. Senior Dog Wisdom™ helps to maintain mental well-being by supporting and maintaining proper cognitive function and overall good quality of life. 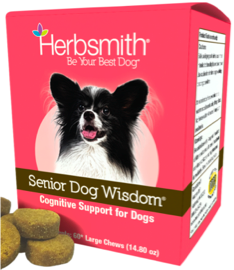 Senior Dog Wisdom™ contains ingredients known to support a healthy brain – L-Carnitine, Alpha Lipoic Acid, Branched Chain Amino Acids and Ginkgo Biloba to support brain health and cognitive function as well as DHA to support and promote long-term health. Senior Dog Wisdom™ helps to support normal nerve conduction, memory recall, and oxygen utilization by the brain. Pair Senior Dog Wisdom™ with Sound Dog Viscosity™ to support a sound body and a sharp mind – the perfect combination for the aging dog! Pair Senior Dog Wisdom™ with Nutrients to support cognitive health and fight free radicals with a powerful antioxidant formula. 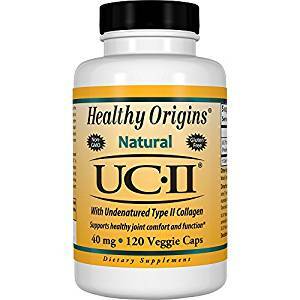 With aging comes a natural decrease in antioxidants produced within the body making dietary antioxidants even more important.